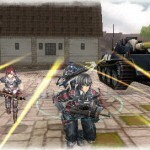 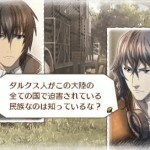 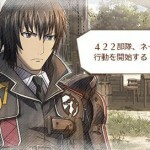 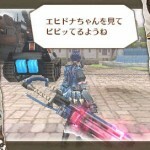 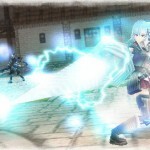 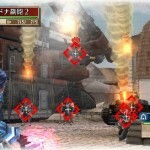 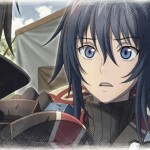 The screenshots for the new Valkyria Chronicles 3 have come out and some of them are gameplay. 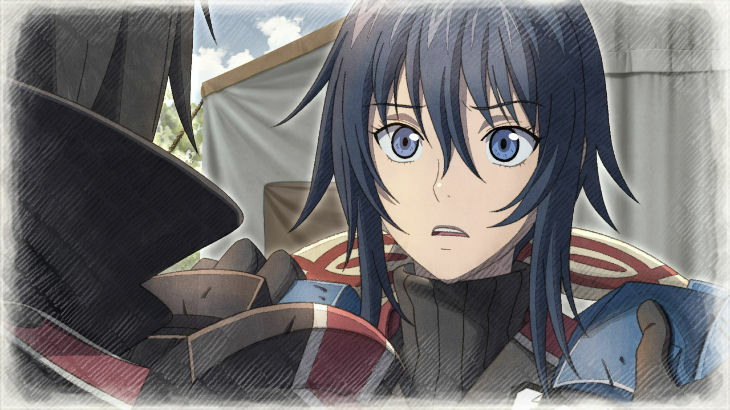 Not the above image, no. 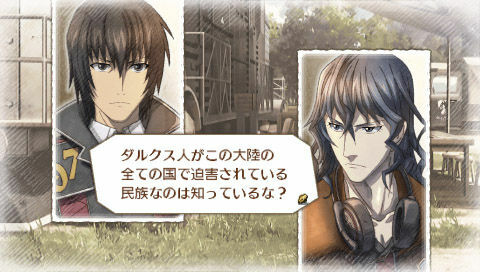 The screens are direct feed from the screens that appeared in the Famitsu scans. 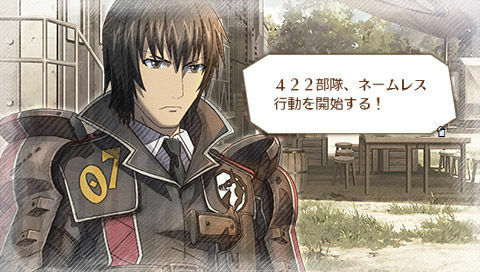 The gameplay screens look OK, it is not PS3 game that is for sure. 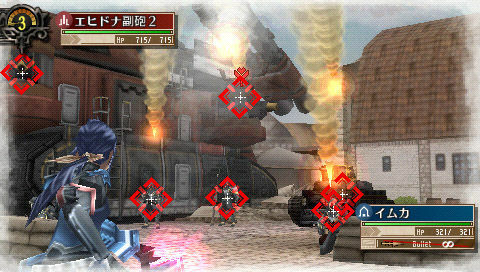 It isn’t the best looking PSP game either. 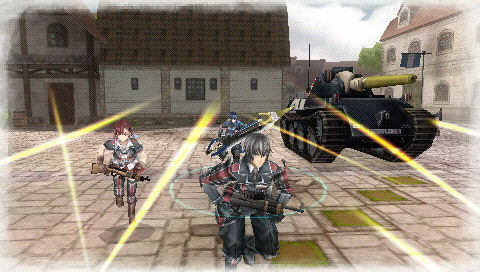 I guess we will have to see how it plays, so far the second game is excellent. 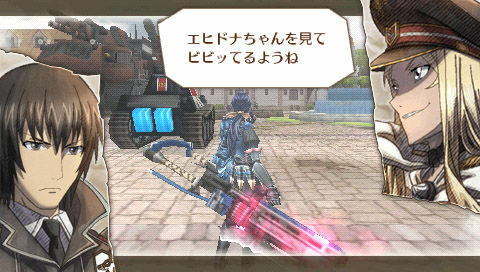 screens look a little better then VCII to me. 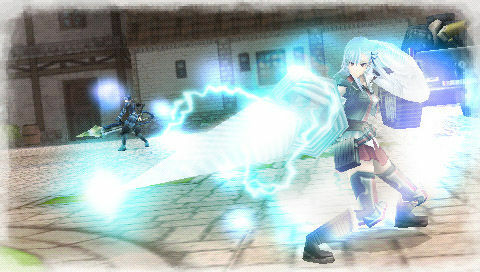 the art style is defiantly better though. Art style is basically back to the original, WINNER! 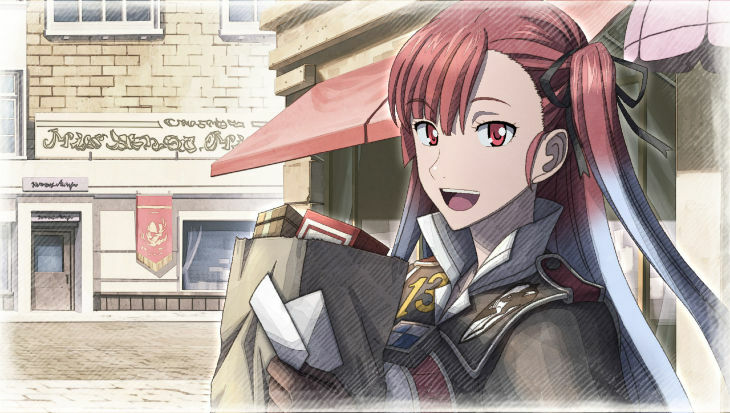 It's been a while since I've actually seen anyone (animated even) carry their groceries with a brown paper bag.